Award-winning international landscape and location painter working in pen and ink with watercolour who paints around the Norfolk coast and beyond. 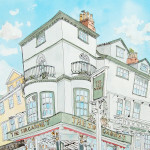 Watercolour painting of the famous Sir Garnet pub on the Norwich markets. 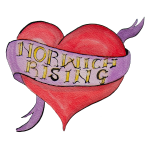 Come play Bingo with us, and help raise funds for Norwich Rising!